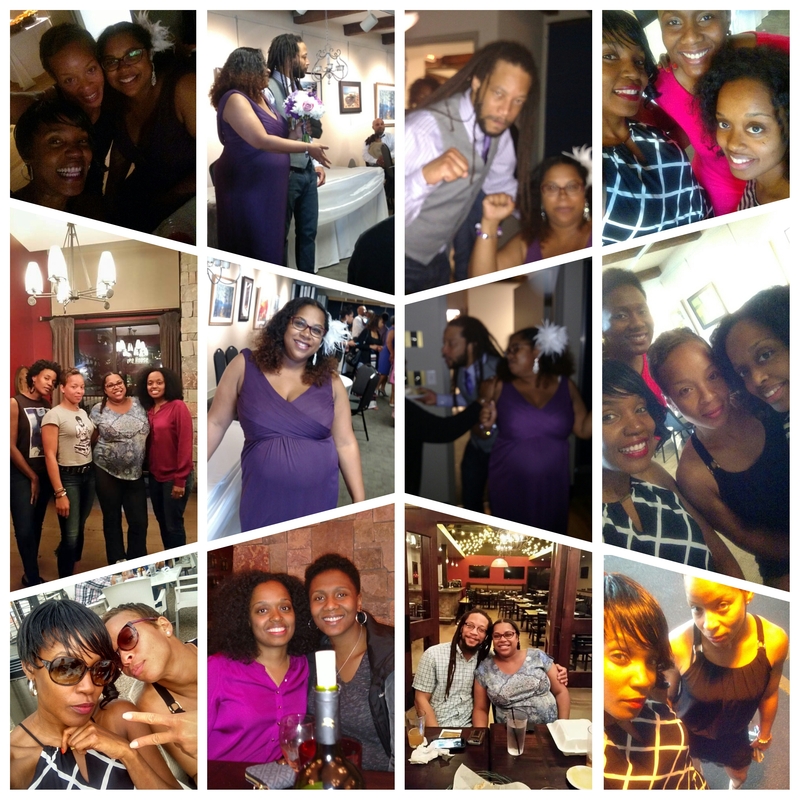 Hanging in Michigan, celebrating Peachie Mo Dee and Chris Davis…with my homegirls from Baltimore and Chicago!!! Met up with my BGR! 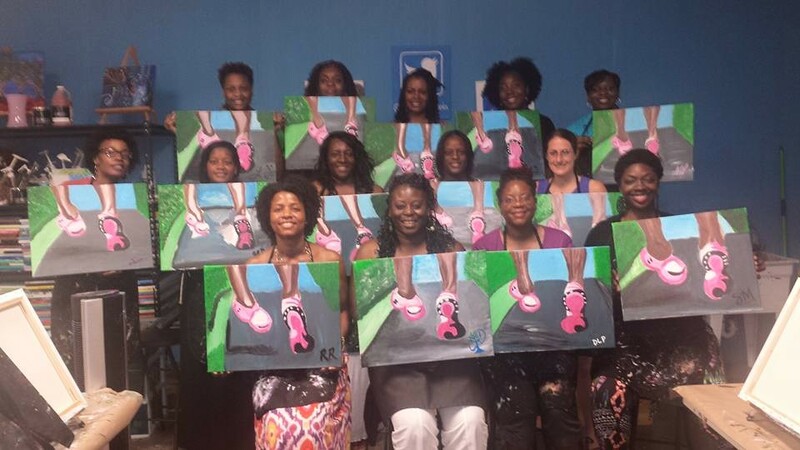 Columbia sole sisthas for a meet and greet at a paint and sip the following weekend and then headed down to North Augusta. Another weekend, and another trip to North Augusta. This time to celebrate a friend’s birthday at another paint and sip. Augusta Pride was that weekend also, so I was able to check out Pride for the fourth year in a row with Veronica and Briana. Fourth of July weekend and you know I’m back in the NA (North Augusta). 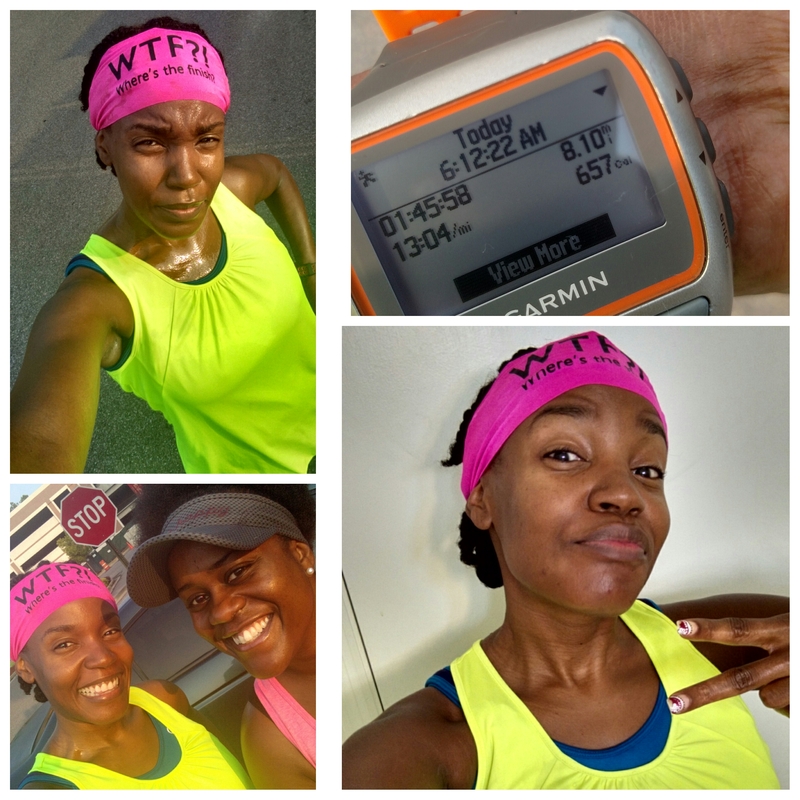 The Yankee Doodle Dash was on the 4th and I just had to run with my BGR! 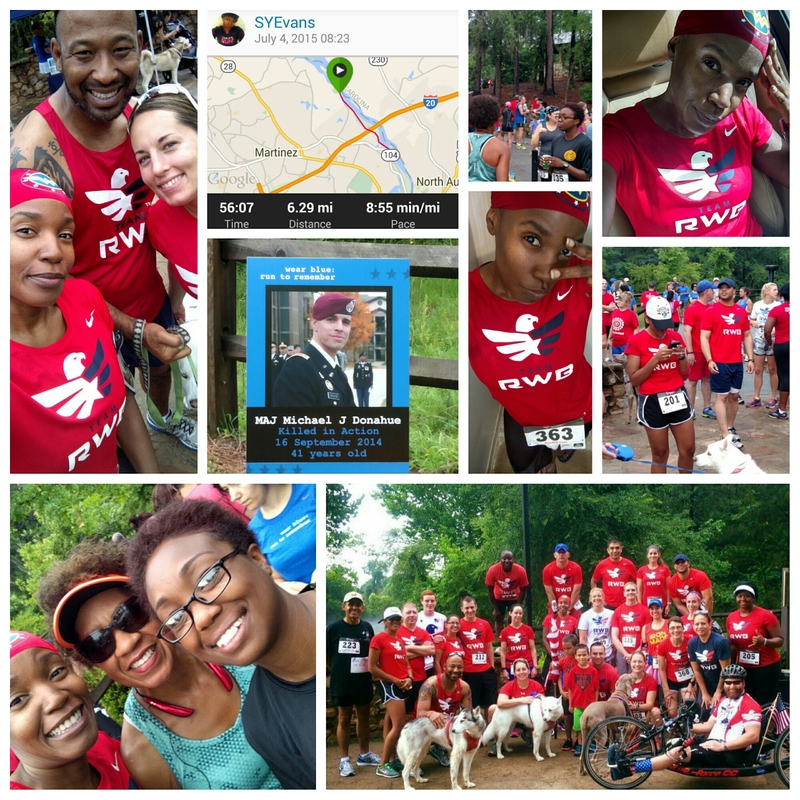 sole sistahs and Team RWB members. It was an amazing turnout. This wasn’t my best 10K, but it was my first race since injuring my hamstring back in April. Must admit, I felt pretty good and looking forward to getting back on track or shall I say pace 🙂 . 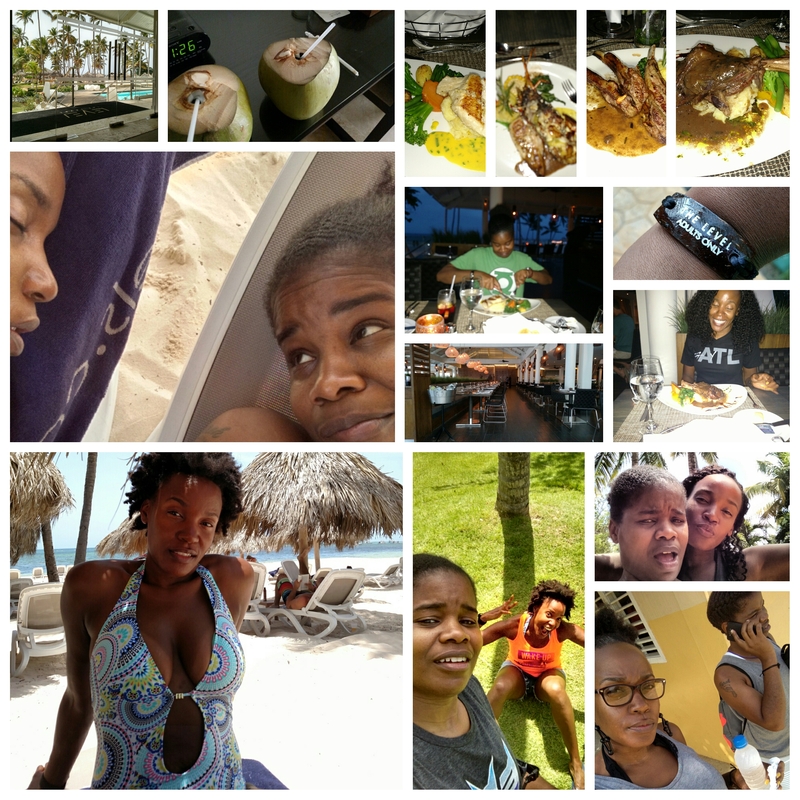 I think the best part of this summer was traveling to Punta Cana for my birthday. Veronica and I had a blast. 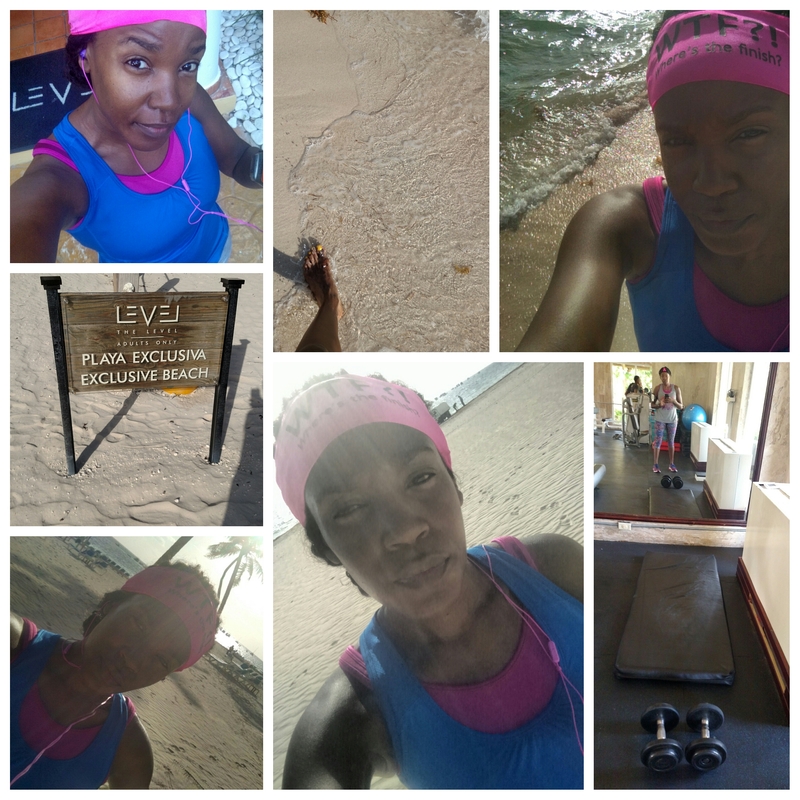 I was able to run on the beach (yeah that was a bucket list item) and even worked out a couple of times in the gym. Veronica and I really enjoyed the food, drinks and staff at Melia’s, the level for adults only. 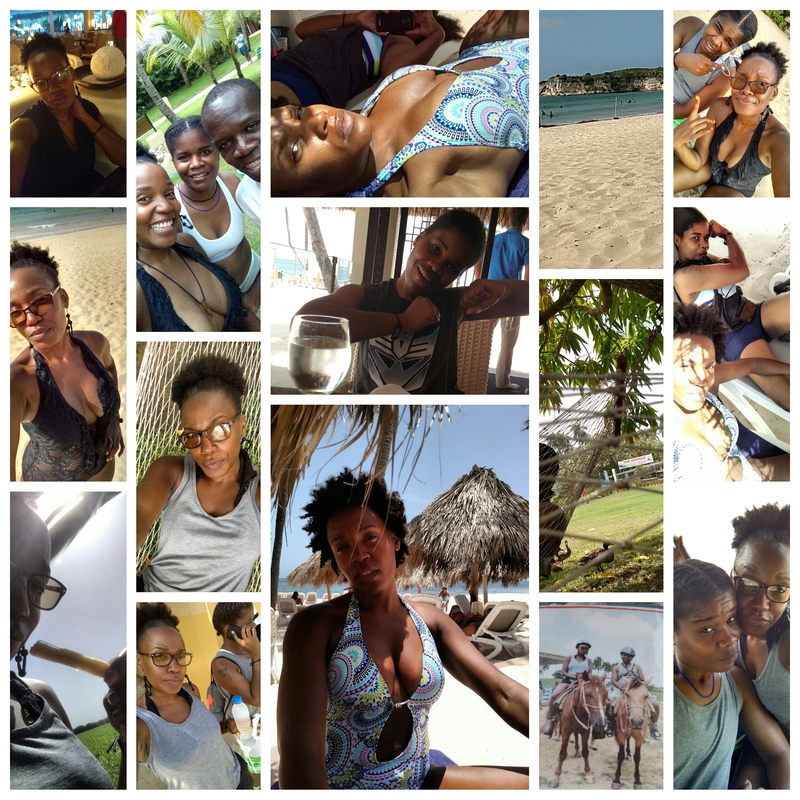 This trip was all inclusive, so you know what that meant for me….shots, shots, shots (well not really shots but I did have my fare share of mojitos 😉 ). The majority of the time was spent eating, drinking and lounging (sleeping) on the beach. This was the first time that I was comfortable in my skin on the beach. I wore a bikini (who would have thought), shoot I wore a bathing suit without a cover-up. WINNING!!! We had so much fun. We went on a safari excursion, where we got to see some of the island. Can you believe I rode a horse…yeah I can’t either. This was one of the best birthday’s ever!!! I didn’t want to leave. I think I shed a tear at the airport on the way back home. Looking forward to my 40th birthday trip next year (it’s going to be hard to top this one). As I’m sure you probably can tell, I didn’t get much running in on my birthday vacation (I did run once and worked out a couple of times) so being back in the states I was ready to get back on the pavement. The following weekend I was able to meet up with a sole sistah from BGR! 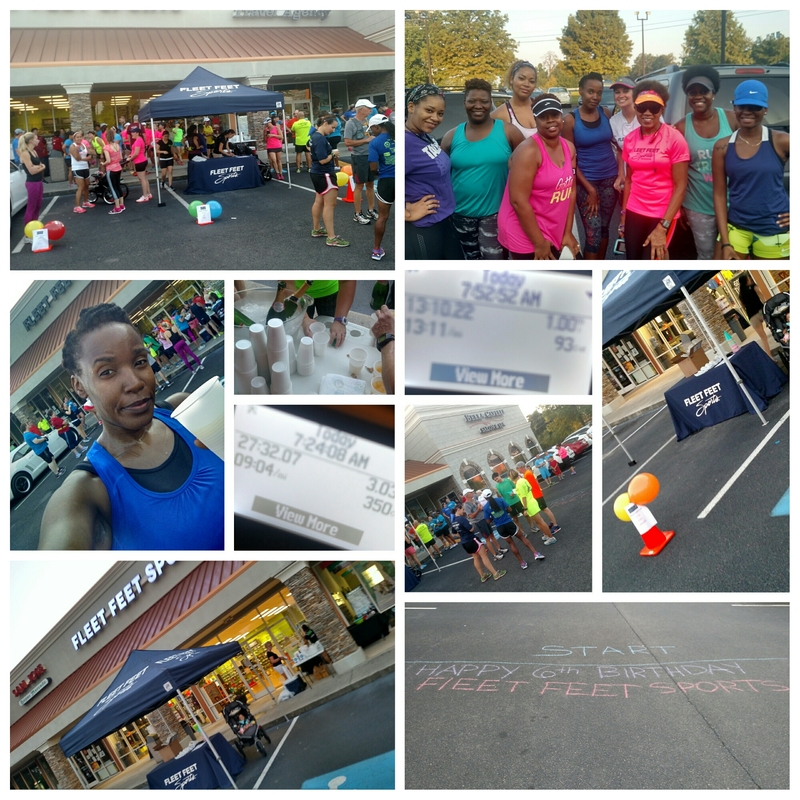 Augusta and hit the streets for 4 miles. Katie met me at 5:30 am to get in a few miles before we headed over to Fleet Feet Sports Augusta to run in celebration of their 6th birthday. Fleet Feet Sports Augusta really knows how to throw a party. For their 6th birthday celebration, they put together a Fun Run/Walk and Pancake Breakfast. We met up with a few more members from BGR! Augusta to enjoy a fun morning of running, pancakes and mimosas. 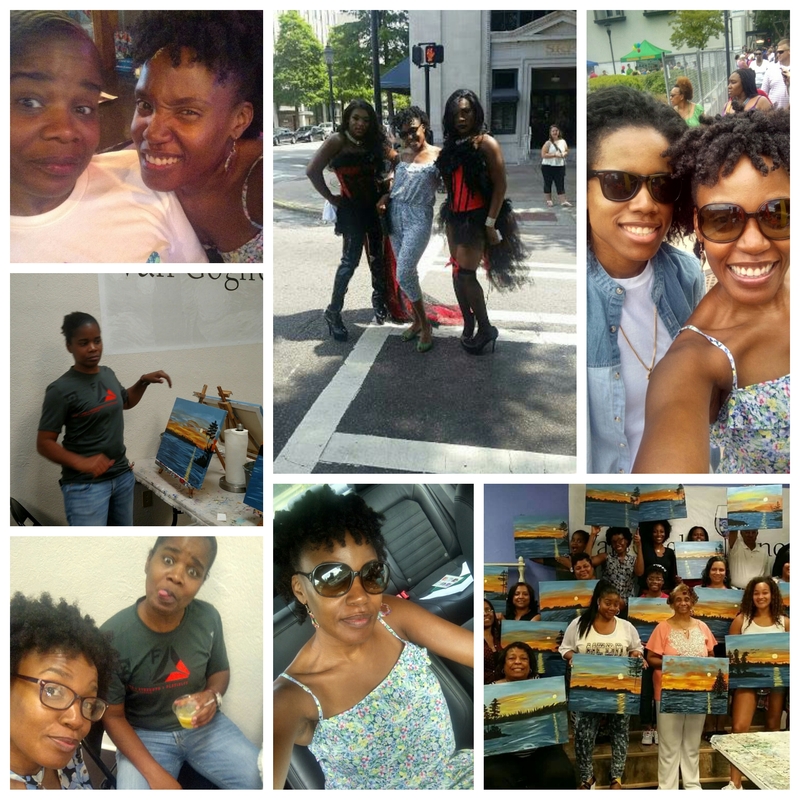 After the run, Veronica and I headed down to Atlanta to support Bri as she hosted her first Art Show. She had several artist on hand showcasing and selling their work. 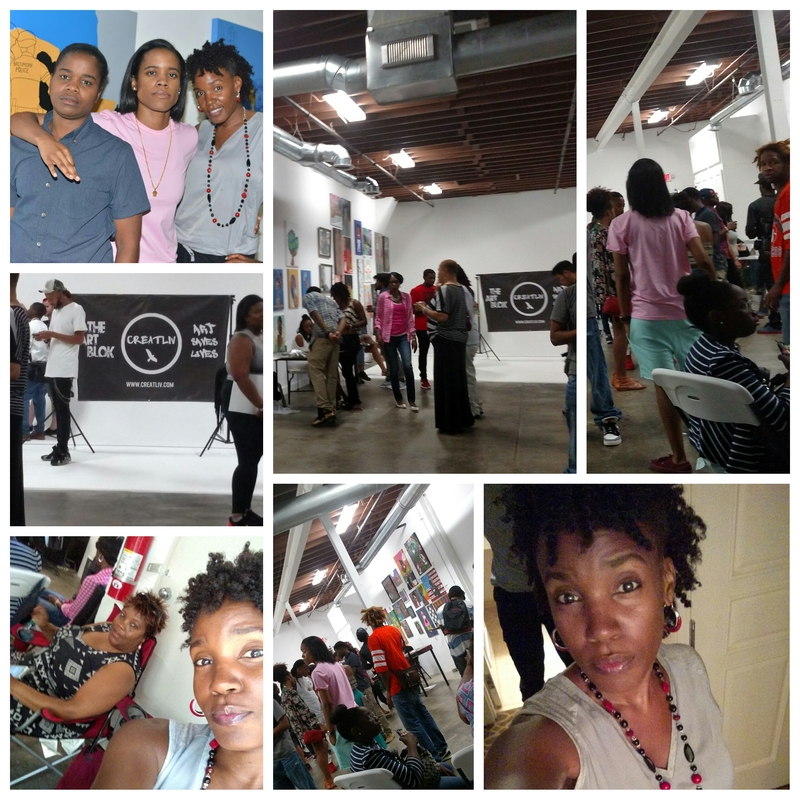 CREATLIV was a huge success. Even with the trip to the DR, my birthday was still celebrated in grand fashion on the first of August. Of course I had to start the morning off with an 8.1 mile run. Who better to run with on my birthday than my sole sistah Karen!!! She didn’t hesitate to meet me early that Saturday morning. Later in the day, Veronica invited her family over for a birthday party for little old me :-). We had Mexican cuisine (my favorite) and red velvet cake (another favorite). Veronica even joined me the next morning for a nice walk on the Greenway (I really wanted to run but someone claims to not be about that life). Later that afternoon we headed to Atlanta, Ga (yeah again) to see the Atlanta Dream take on the Phoenix Mercury. I didn’t mind the mini road trip because we ended up sitting right behind Brittany Grier (oh to be young again 😉 ). WINNING!!! 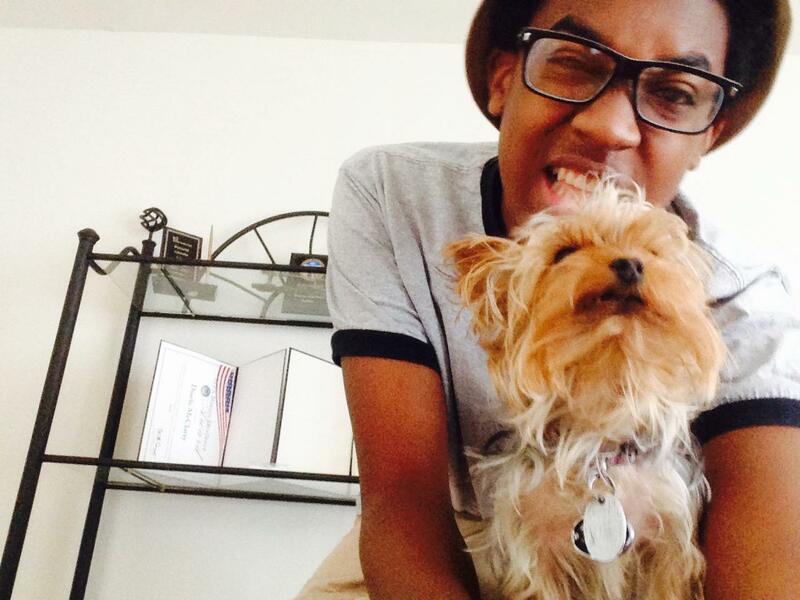 Summer comes to an end for me in a grand fashion; the return of my man child (and Cooper). I headed up to Charlotte the following weekend to pick up my boys. Happy, happy, joy, joy!!! Believe it or not, I still wasn’t done with my summer weekend fun. 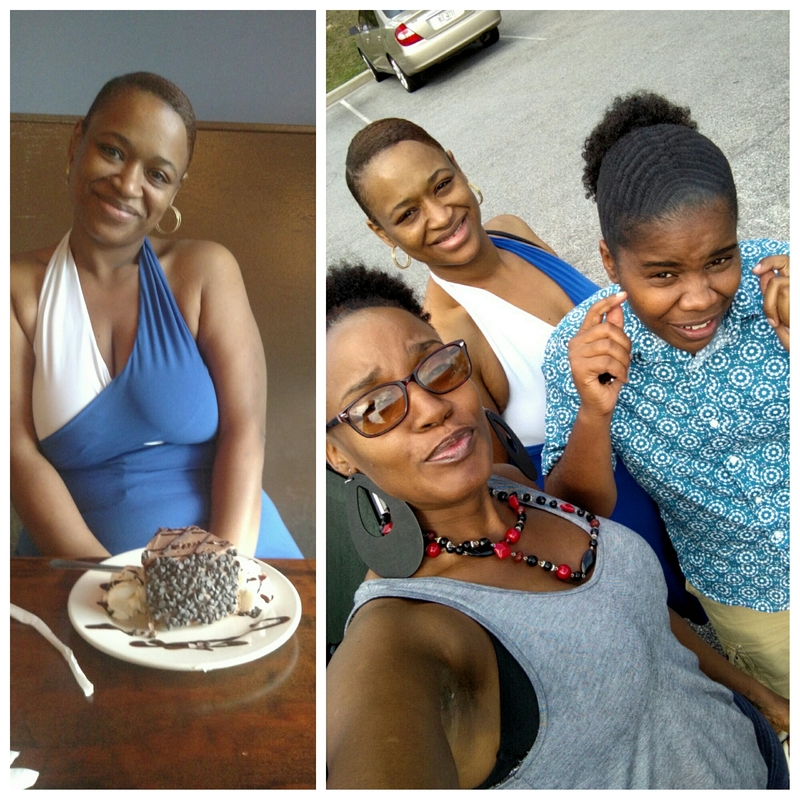 The following weekend, Diallo and I ended up in North Augusta (dayum I should become a permanent resident lol) to help celebrate Meka’s, birthday. It was just us ladies enjoying a movie (Straight Outta Compton), lunch, and cake. Can’t have a birthday without cake (well you can but it’s really not the same 🙂 ) . 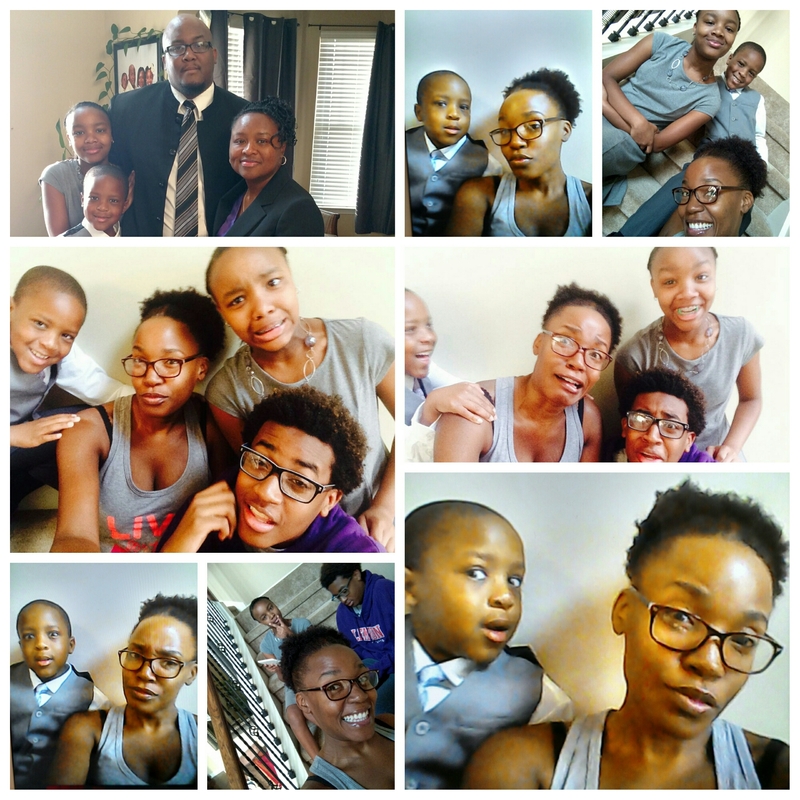 Since I was so close and knew the kiddos would be home that weekend, Diallo and I headed over to Augusta to check out the family. As you can see, I was literally doing something every weekend since the start of summer. I’m ready to get back to my long runs on Saturdays and doing absolutely nothing on the weekends. 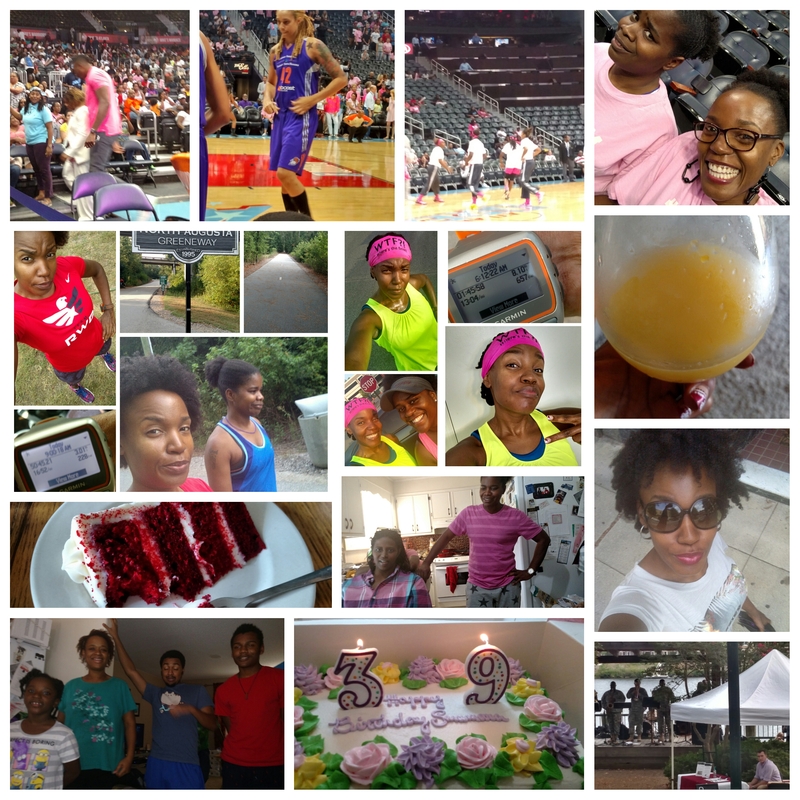 Even though I haven’t blogged in a while, I still continued to “find balance” with my workouts. The hardest part this summer, was sitting down to blog about it. I started out the month of June with my half marathon training using the Nike Plus coaching app. But the way my weekends were setup, it was hard for me to get my long runs in on Saturdays. So, I decided to switch up my training plan. 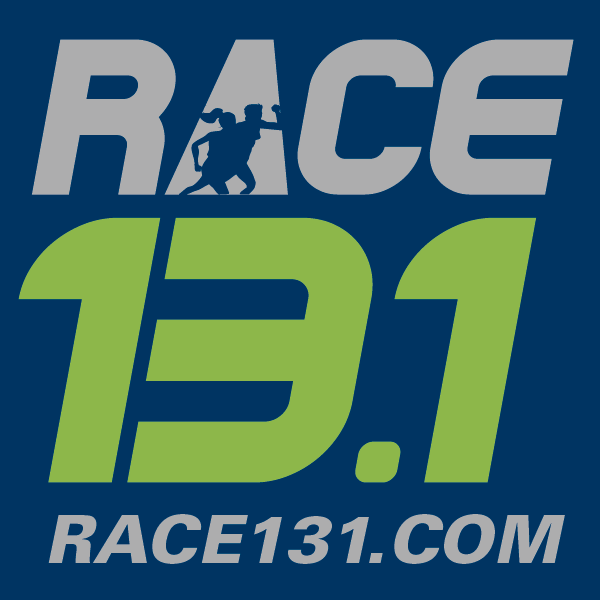 My goal moving forward will be to focus on my December half and just use my Race 13.1 events as training runs. 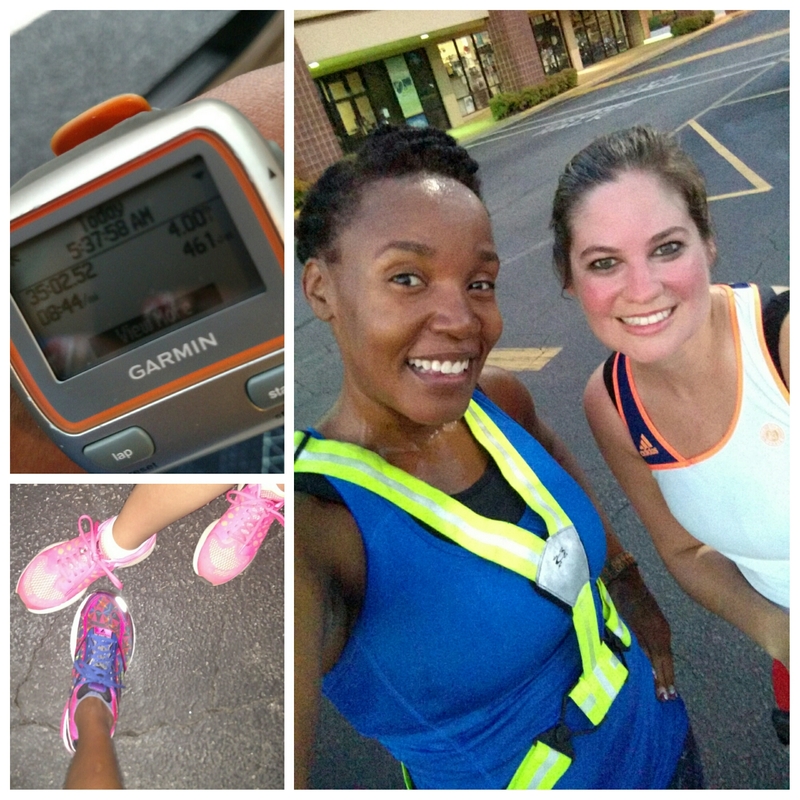 The training for my December half started on the 7th of Sept, so you know you can read all about it soon :-). How was your summer? Training for any races? Take any vacations?